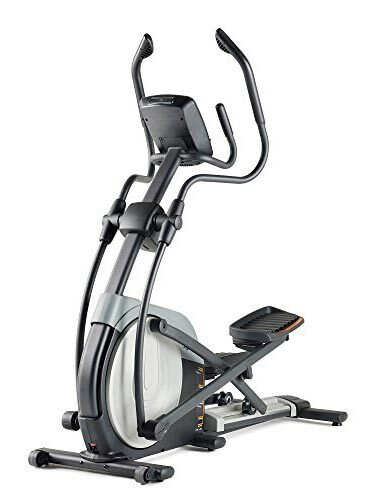 NordicTrack’s E9.5 elliptical cross trainer is an advanced model in the higher price range. 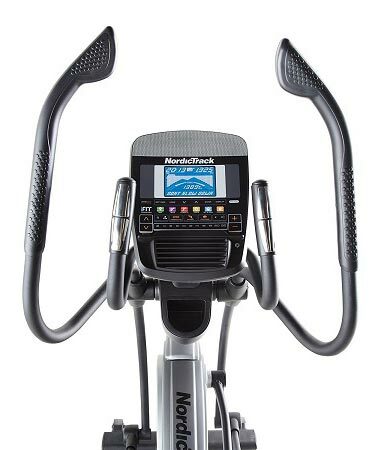 This model is meant for those who are serious about fitness, or users that expect to use their cross trainer daily without ever having to worry about it not withstanding years of abuse. The E9.5 also offers 22 digital resistance levels, 24 personal trainer workouts, and comes with a robust monitoring system. Before trying the NordicTrack E9.5 for myself I had a brief look at other customer reviews and they don’t do justice to this fantastic cross trainer. It’s one of the best cross trainers available, and is perfect for all fitness enthusiasts who want to bring their fitness to the next level. Quiet and balanced, you’ll notice the spin and stride on the E9.5 is smoother than most models. The flywheel is 12 Kg and offers 22 levels of digital resistance – all controlled through the LCD display. There are also 2 more NordicTrack cross trainers we have reviewed; the E 7.2. Virtually every metric possible is tracked and displayed. The handlebars have a sensor for your pulse and allow your heart rate to be displayed. One of the major standout features of this model is the personal training workouts. In total, there are 24 workouts provided. These workouts are broken up into calorie and speed workouts with an even number of each provided. It’s important to note that you can use this cross trainer without a program, and you can also adjust the program settings to your own fitness level. This means that you can make the resistance higher or lower, and adjust the ramp incline as well so that they both match your fitness level. You’ll also be able to sync into an iFit Live if you have one, which provides countless interactive workouts which transforms your workout into a lifestyle. The pedals are cushioned and can be adjusted to fit your foot size. Users of any size will be able to use the pedals as they are oversized. This means that they will be able to accommodate virtually any foot size with ease. When exercising, users can also plug their iPod right into the music port. Music will be streamed out of the Intermix Acoustics speakers that are built-in to the E9.5. This cross trainer is all about challenging yourself to be healthier and fitter. With the power ramp, this machine definitely pushes your fitness to the next level while allowing you to design your own fitness program – or use a pre-set option. A lot of personal-trainer-created programs to follow. Difficult resistance and power ramp options. Monitoring is one of the best in the industry. I really couldn’t find anything wrong with this cross trainer aside from maybe its larger size. This truly isn’t an issue either. This model can handle a maximum user weight of 145 Kg, which is much higher than 99% of cross trainers on the market. 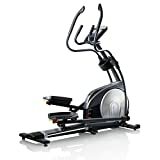 If you are looking for a top-of-the-line cross trainer, the NordicTrack E9.5 is one of the best in the industry.